Whether you’re on a prepaid plan or have a data cap, it seems like you never have enough. Here are five tips to get through each month and save money. Datally is a free app from Google and is aimed at emerging markets and users with limited data. It’s easy to use and helps you keep track of where your data is at. 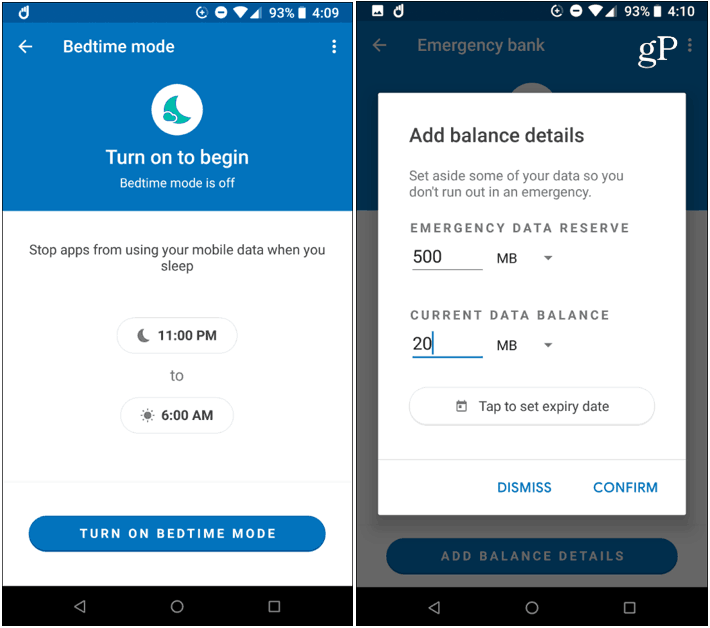 It also has helpful features like “Emergency Bank” to stick some minutes aside and “Bedtime Mode” which stops apps from using mobile data while you’re sleeping. 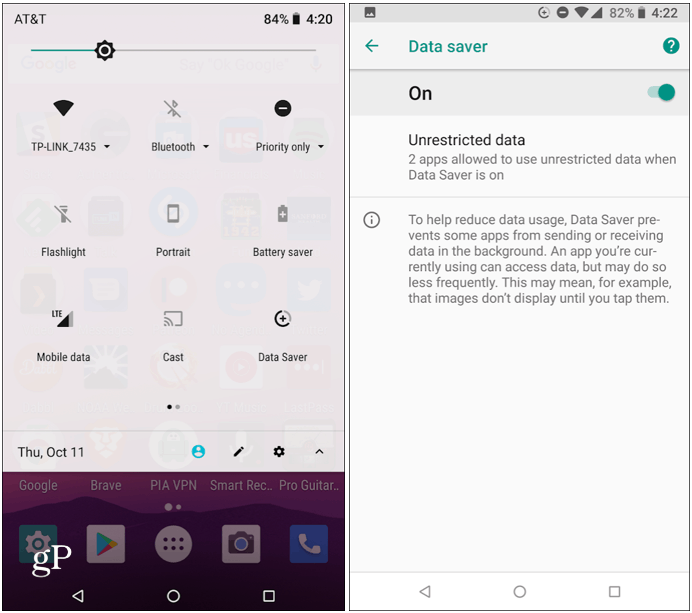 Check out our article on how to use Datally to manage your mobile data. Once you know what the offending apps are, you can go into each app’s settings to find ways to disable its data eating behavior. For example, you might not need a news app or Twitter constantly looking for and downloading updates. Or, take the nuclear approach and simply uninstall the apps that you can live without. Not only is the Facebook app a huge drain on your battery, but it’s also a major data hog. But if you must have it, install the Lite version. And did you know you don’t need to install the Facebook app to use Messenger? Just install the FB Messenger app for text and video chat and leave the newsfeeds for when you’re home or wasting time at the office. The best way to save on your data plan is not to use it for streaming movies, TV, or music. While you’re at home or connected to Wi-Fi, download your media items to the phone so you can enjoy them without using the data stream. 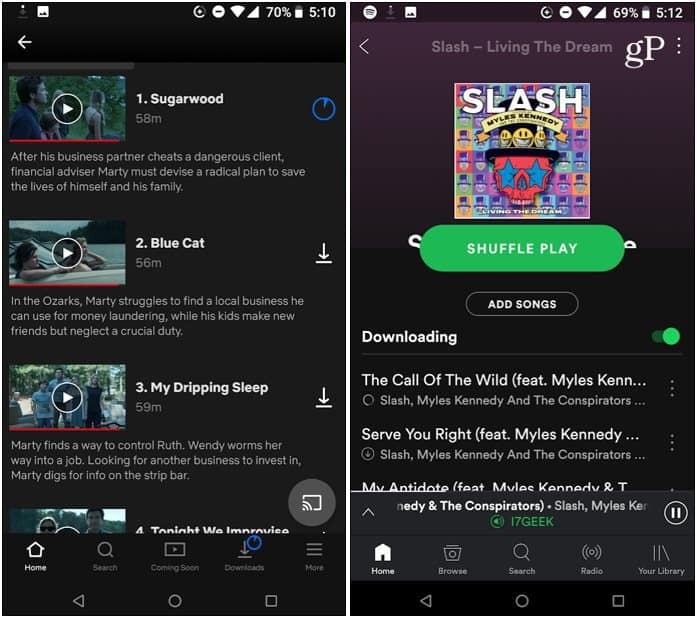 Most streaming services now offer the ability to download content. For example, you can download content from Netflix. Or, for music, download your playlists from Spotify. Instead of using Google Maps while on the go, instead, plan ahead, and download your maps for offline use. While still connected to Wi-Fi, open Maps and plug in your destination. Then tap “More Info” and then the “Download” icon. 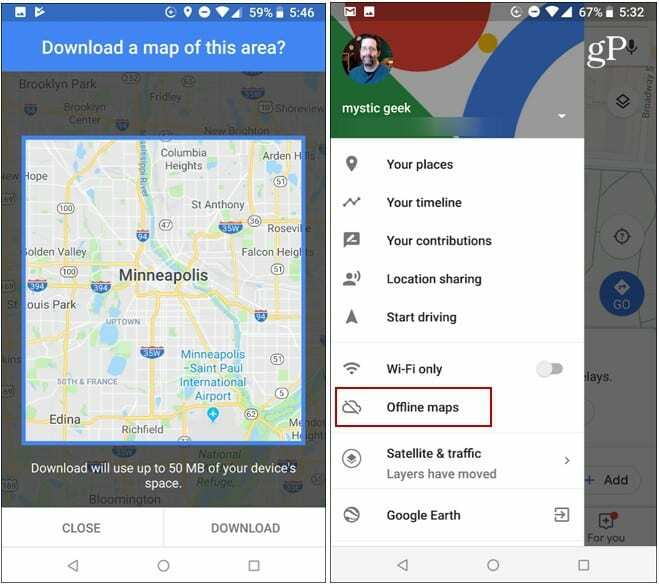 When you need it, you will find your downloaded maps in the “Offline Maps” section on the main menu of the Google Maps app. 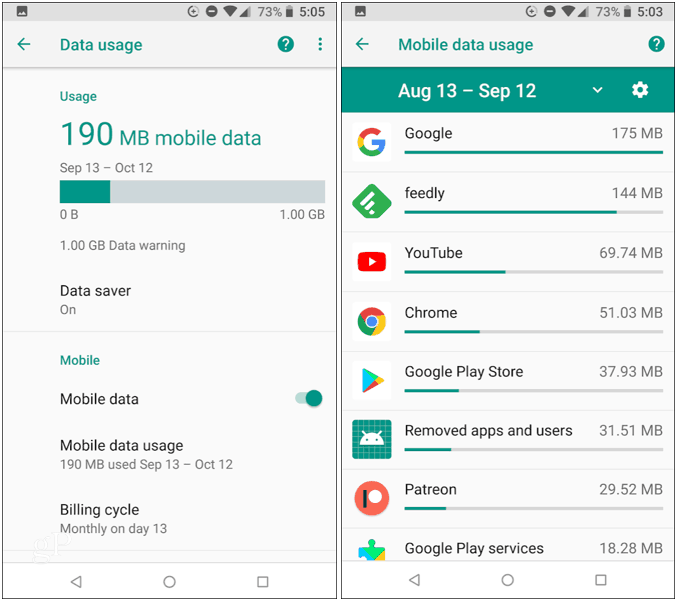 There are Whether your plan has a monthly cap or you’re using a prepaid service, these tips should help you save enough data to make it through the month and save money. And while you’re getting the most out of your data plan, check out our battery saving tips to get your phone through the day, too.